completely swept me away, heart and soul. that intangible magic I hope to find every time I begin a new book. Loved. Loved. Loved. This. Book. It was everything I needed and more. I was hooked from the very first page. It’s the kind of story you quickly get lost in, forgetting time, space and real life as you immerse yourself in the lives of these fictional characters. I saw it reeling like a movie, unwinding scene by scene as the beautiful man… the super star, fell for the small-town girl who saw more to him than the rest of the world. The writing was entrancing and the story beautiful. 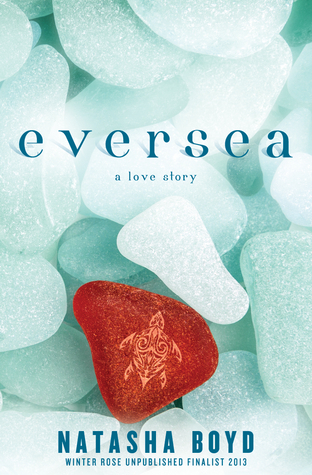 Although we’ve seen similar stories before, there was simply something special and honest about how this author told the unlikely story of Jack Eversea and Kerri Ann Butler. Keri Ann has seen too much tragedy by the age of twenty-two. She’s lost her parents, her grandmother and now she’s been shouldering the responsibility of fixing up a historical home that some are intent on taking away from her while pressing pause on her life as her brother attends medical school. With no boyfriend and next-to-nothing experience in both love and intimacy, she’s simply going through the motions without really living a life. She’s content, but she’s stagnant. So when a hooded boy who turns out to be one of the most sought-after actors around sits at the small-town diner where she works, her world begins to irrevocably shift and nothing would be the same from that point forward. Jack Eversea is escaping the vises of his stifling reality. Dealing with the infidelity of his girlfriend, he finds himself in Butler Cove, searching for some much needed peace and respite from the bright lights of fame. When he meets Keri Ann, he can’t help but be drawn to her. She’s kind and funny and has made it clear she is thoroughly unimpressed by him, although he suspects he does have an unsettling effect on her. Keri Ann, in the meanwhile, is trying to keep from liquefying into a puddle of desire. But the more she gets to know him, the more she sees how good and caring Jack is. They make an unlikely agreement to help each other out and they are thrust together, slowly getting to know each other, slowly falling for the other as the chemistry between them crackles. I loved them as individual characters. Keri Ann is a girl who is riddled by insecurities, her nose forever stuck betwixt the pages of a book as she lived her life in fiction, not with experiences. She couldn’t process how such a beautiful man like Jack – inside and out – would ever look at her beyond the bounds of an improbable friendship. And Jack… he’s trying so hard to process who he is beyond the reach of the bright lights and the automated motions of living your life by a schedule and a carefully choreographed contract. Keri Ann treats him like a real person and he finds her wit, unpredictability and goodness irresistible. But can he ever truly escape the confinements of his life and be the person she deserves for him to be? They can’t resist the intensifying attraction between them for too long and soon, together they find a rightness they never expected. It’s beauty, happiness, desire and everything they’ve ever hoped for in each other’s arms. But just as things fall into place, everything suddenly falls apart as fate sends a cruel reminder of Jack’s unstable reality. Two hearts left broken in the wake of the turbulence. This story owned me. I was so consumed by it all, devouring every moment of happiness, every moment of heartbreak. It’s everything I love to experience in a book as it swept me away in a fairy-tale romance of two people who fell hard for each other, but whose reality refused to let them be. 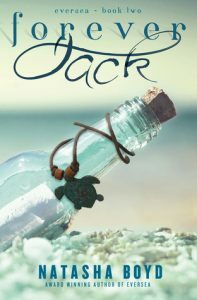 The story ends on a cliffhanger, but lucky for me I was able to immediately pick up Forever Jack and immerse myself once more in the impossible love story of Jack and Keri Ann.